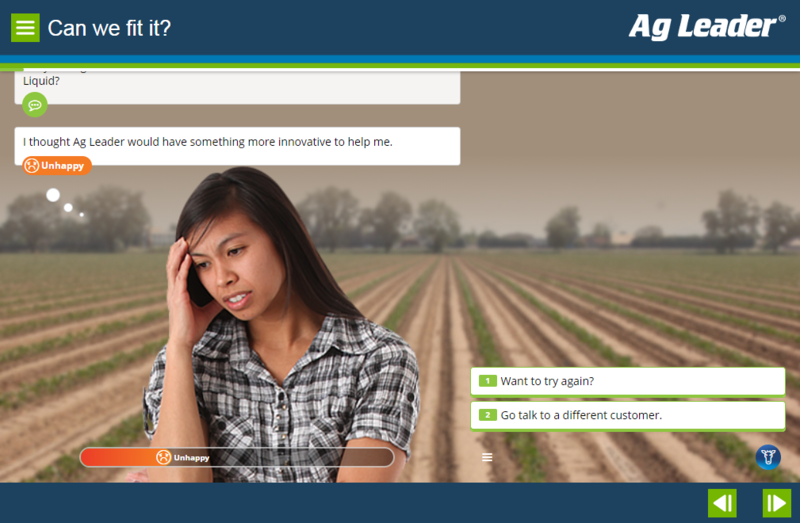 This was a fun simulation to develop as part of a larger e-learning course. 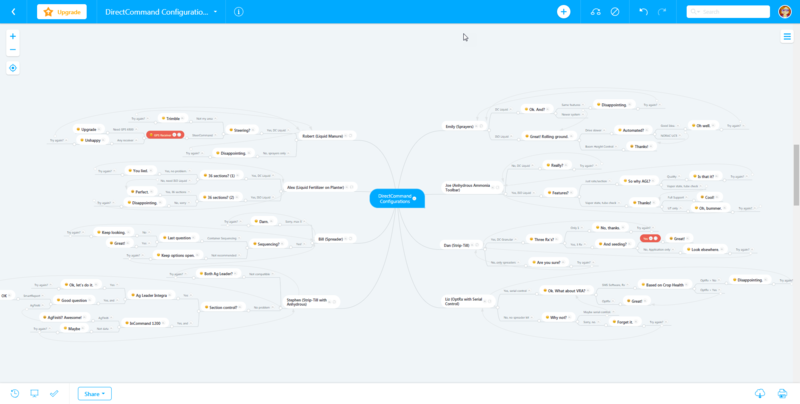 I created branching storylines for 8 different customers so our students could practice conversations using the knowledge they gained earlier in the course. 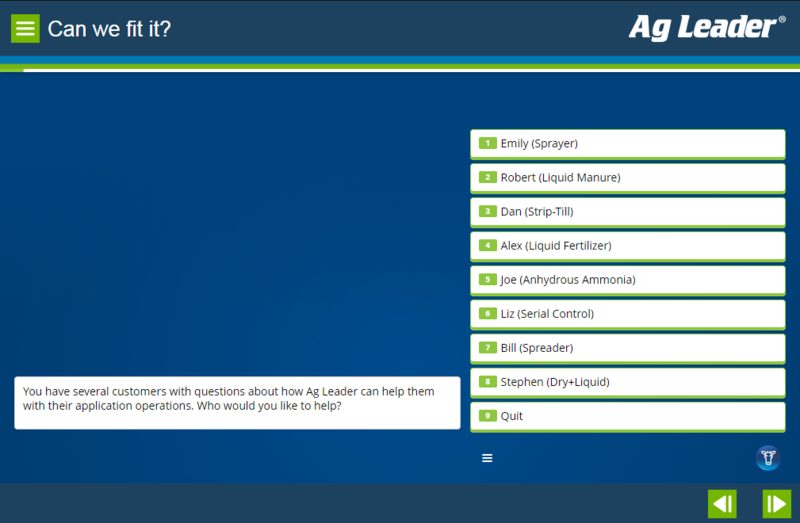 Answer choices would tell you the customers reactions, ranging from normal > puzzled > happy > angry with paths leading back and forth so it twas possible to end with a happy customer even if you started out by confusing them. Planning out the scenario text and pathways took the most time, implementation was actually done very quickly using BranchTrack. It was my first time using the product and I was impressed. 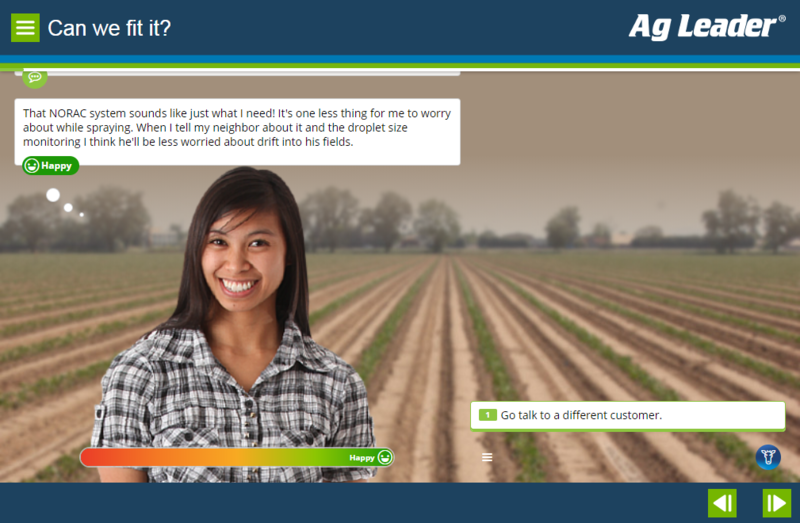 Dealers appreciate the interactivity and we regularly see comments in feedback surveys requesting more scenarios. 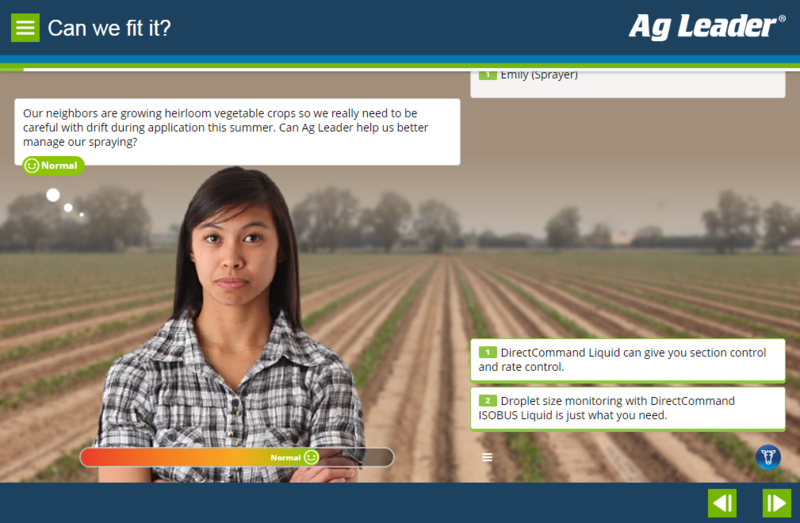 Developed as part of a 4 hour e-learning course covering the Ag Leader DirectCommand product line and agricultural chemical application.